Mums Light Up in Bungoma, Kenya! 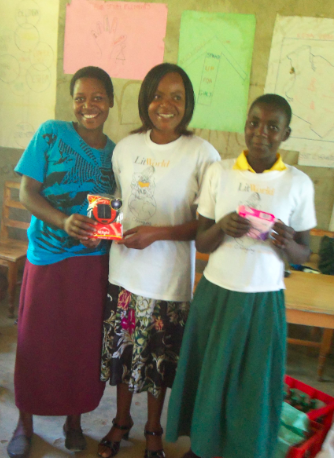 Here are photos of a few happy LitClub mums after receiving solar lamps for their girls. Indeed Christmas came early for these mums! They were all smiles as they each received a solar lantern with her litclub daughter! Light finally came at the end of the turnel! The girls expressed their joy through song and dance. The smoky kerosene lamps that made them suffer are going to end up in dustbins. The lamps that were donated by Litworld came in handy as some of the girls were preparing for exams and one of them studied hard to emerge top at the school after scoring 350 marks out of 500! To them, these lamps are magical, a savior, a precious jewel!